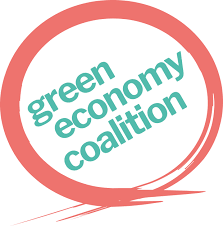 From 8-9 January 2019, the Green Economy Coalition (GEC) is holding their Global Meeting in Cape Town, South Africa on the theme of ‘Giving everyone a stake in the green economy’. We know that the green economic transition is necessary, urgent, and already underway. But we need to ensure that the new green economy improves the lives of ordinary people everywhere - and our meeting will focus on how can we can make the economies of the future equitable, inclusive, and people-focused. This year marks a milestone in our evolution as a network. With 7 country programmes now up and running around the world, our partner organisations will be sharing their stories from the frontlines of the green economic transition: evidence of real and positive improvements, with the potential to achieve scale across nations, and change lives. The meeting will be held back to back with the UN PAGE Minsterial meeting, which will take place on 9-11 January 2019 in Cape Town, South Africa. The GEC has been granted a number of guest list reservations, allowing friends of the GEC to join us both for the PAGE Ministerial and our Green Economy meeting immediately following. But places are limited and sure to go quickly so if you’re interested in attending both. Co-hosted with our South African partners, The African Centre and Trade & Industrial Policy Strategies (TIPS), we will be taking stock of the global transition and planning our next steps together as the largest civil society movement for fair, green economies. Places are limited and sure to go quickly - so if you're interested in attending both, do get in touch! If you're interested in attending, or would like more information, click here.